Wilkes Public Health Dental Clinic is committed to providing our patients with the knowledge and tools to make the best choices when it comes to their dental care in North Wilkesboro, North Carolina. Below we have provided links to other sites that include valuable information regarding maintaining good oral hygiene. We hope you find these sites useful and informative! La Clinica publica dental del condado de Wilkes se compromete a proporcionar a nuestros pacientes el conocimiento y las herramientas para tomar las mejores decisiones a lo que respeta a su cuidado dental en North Wilkesboro, North Carolina. A continuacion, proporcionemos enlaces a otros sitios que incluyen informacion valiosa sobre el mantenimiento de una buena higiene oral. ¡Esperemos que estos sitios sean utiles e informativos! 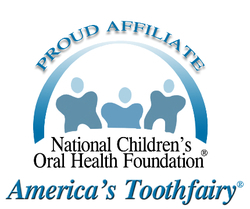 The National Children's Oral Health Foundation is America's Toothfairy! At Wilkes Public Health Dental Clinic, we are proud to be an affiliate clinic. The NCOHF website features a Parents Corner as well as information for professionals and community members. We participate in this annual program to provide free dental care to uninsured children! Sitio web dedicado a proporcionar información sobre la salud dental para los niños. Sitio web dedicado a proporcionar información para prevenir la caries dental en los ninos. Explore all that our community has to offer! Promoting economic development and striving to enhance quality of life for all Wilkes county citizens. We are a proud member of the Wilkes Chamber of Commerce. Striving to protect and perserve the health of our community. Improving the health and well-being of the citizens of Wilkes County through charitable contributions towards projects, programs, and scholarships.